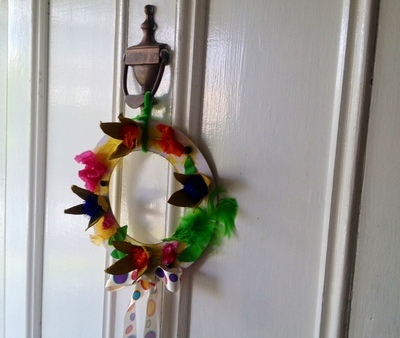 This bright Easter wreath is easy to make and perfect to brighten up your front door over the holidays. 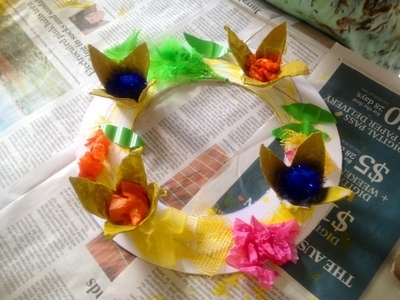 We chose bright Easter colours for our door wreath, inspired by daffodils and irises - yellow, orange, green and purple. 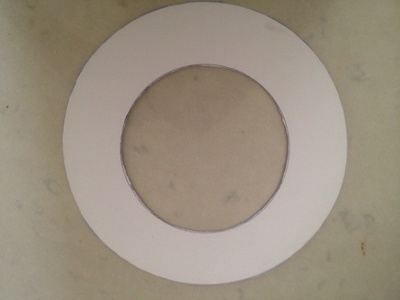 Draw a ring on the piece of card and cut it out. 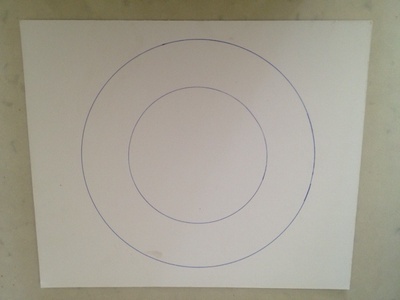 We used a large round dinner plate and a smaller round plate to draw around to make the circle shapes. 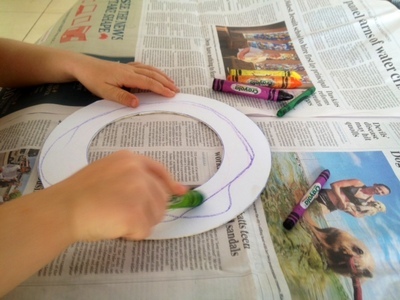 Decorate the cardboard ring with your crayons. We picked out yellow, orange, purple and green crayons to keep the colour theme. 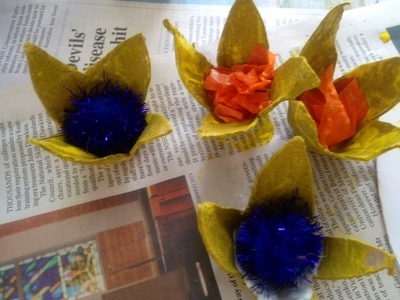 Cut out 4 cups from your egg carton and then cut petal shapes around the edge of each one. This makes your daffodil flowers. 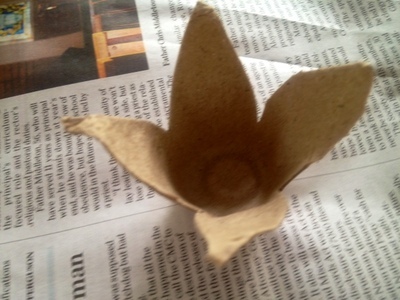 Scrunch some orange tissue paper into the base of the egg carton cup to make the middle of the daffodil flower. We also used some purple sparkly pom poms in the middle of two of the flowers to add some extra colour. 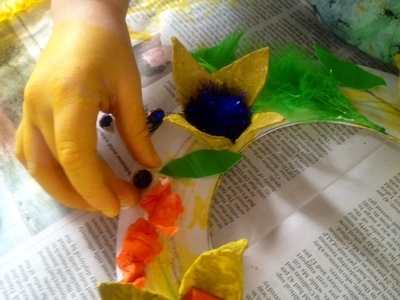 Decorate the rest of the wreath by sticking on scraps of coloured paper, material, feathers and beads. 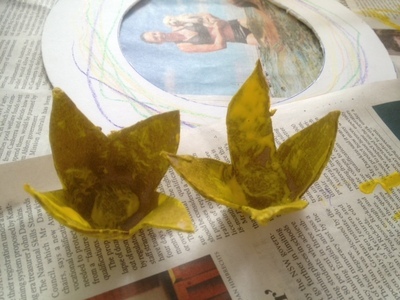 We also cut some leaf shapes from some green plastic. 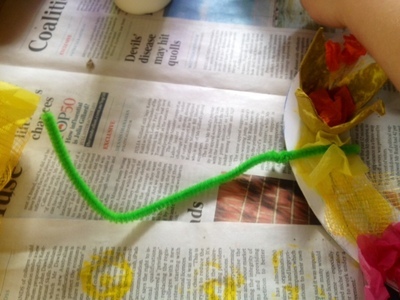 Finish the wreath by looping a pipe cleaner through the top and twisting. You can use this to fix to your door e.g. onto a door knocker. 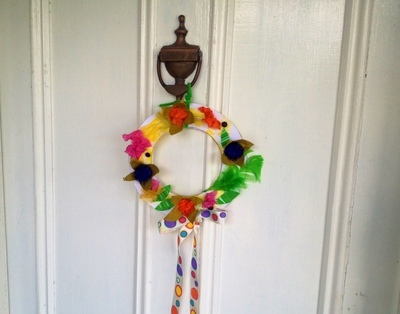 Your Easter wreath door decoration is ready to hang. Have a great holiday.